South Africa has launched a corruption probe into President Jacob Zuma's son Duduzane and the Guptas, a family of businessmen accused of wielding improper political influence, a police spokesman said on Wednesday. A spokesman for the elite 'Hawks' police unit said it would investigate the graft allegations after a complaint was made by the Democratic Alliance, South Africa's main opposition party. "We have received the docket in the matter between the DA and the Guptas and we are to investigate it," the spokesman told Talk Radio 702. Although the Gupta's relationship with Zuma has been a source of controversy for years, it burst into the open last week when senior figures went public to say the family had exerted undue sway, including offering cabinet positions. The Guptas, whose businesses stretch from media to mining, have denied the allegations and say they are pawns in a plot to oust Zuma. 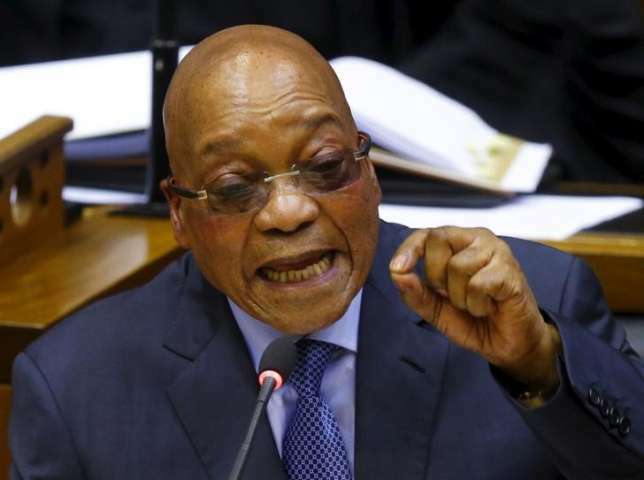 The ruling African National Congress (ANC) said on Sunday it had full confidence in Zuma but would investigate the allegations by senior politicians - including Deputy Finance Minister Mcebisi Jonas - that they were offered positions by the Guptas. Zuma has acknowledged the Guptas are his friends but denies anything improper. Zuma's son, Duduzane, is a director - along with Gupta family members - of at least six companies, documents show. South African Deputy President Cyril Ramaphosa, a powerful figure in the ruling party, was reported on Wednesday as saying that the "ANC is not for sale." "The ANC refuses to be captured. Those who might want to capture the ANC and make it their own and influence it to advance personal or corporate interests, you have come to the wrong address," he was quoted by the Rand Daily Mail website as saying at an academic summit in Johannesburg. “This is going to be a defining moment," he said. "What is good is that the Gupta family has said that they are willing to cooperate." "It is not only the Gupta family. There are a number of others as well who have tried to capture the state,” he said.